In this series, ELGL members reflect on how their life has changed from 2008 to 2016, and look forward to where they’ll be in 2024. ELGL members can sign up to share their experiences at My Life in Presidential Terms. In 2008, I was a student of public policy at Mills College. I didn’t really know what public policy was but I did know that it combined a lot of cool stuff I was into: political science, economics, and sociology. I was doing well in school, but had no real clue about a career. Prior to Mills, I spent a few years living in Europe and fell in love with mass transit after growing up in suburbs. My interest in transportation led to a summer internship for a campaign to build a new train. I had no idea that my next internship, a year later, was going to turn into the job I have today. Oh, and the train? It’s going right through the City I now work for. Carol Chetkovich (Dean of Public Policy at Mills College). This woman is the boss. Carol taught me how to think and how to write. She also taught me to bring my ‘A’ game or get out of the kitchen because I’m wasting someone’s (her) time. She instilled an amazing fear in me that I turned it into a kind of confidence that then made me pretty fearless. 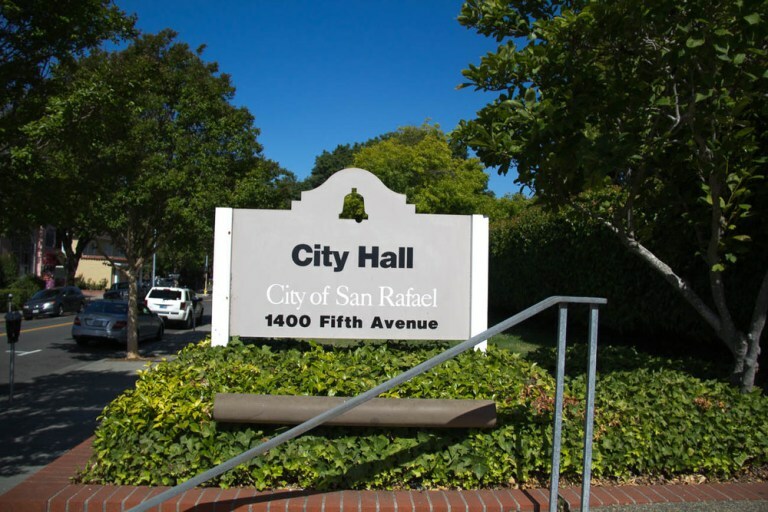 Nancy Mackle (Director of San Rafael Redevelopment Agency turned San Rafael City Manager). This woman believed in me three minutes into an internship interview. She gave me advice when I needed it the most and paved the start to my career – she made sure the work I did was challenging and that I was always at the table and exposed to something beyond my pay scale. She taught me that authentic leadership was the most important thing. Jim Schutz (Assistant City Manager turned City Manager of San Rafael). The sole male on my list of awesome. This man has shown me the true meaning of public service: caring so hard about the community you serve that you can’t even blink. When I was a teenager I made a bracelet that said “WWTDLD” for What Would the Dalai Lama Do (I also burned incense in my room for like 24 hours a day while listening to NSYNC; sorry mom & dad). I now wear an invisible bracelet that reads WWJSD. In addition to Jim’s incredible ethics and integrity, he also pushes me to think more critically and be prepared for everything. Cristine Alilovich (San Rafael Assistant City Manager). When Jim became City Manager, I was slightly concerned about who was about to become my new boss. And then this woman walked in and she owned it from Day One. From the day I read her cover letter to the day we drank Chardonnay celebrating my annual evaluation I knew that this woman was the mentor I had no idea existed. She has shown me that competence is Queen. The greatest things in the last eight years of my life have been people. They helped me navigate this world both professionally and personally, and figure out my values and direction. The thing they all have in common is that they are all smart as heck, and have a cowboy (/girl) conviction to pave their own way. The next presidency: the policies of the federal government quickly trickle down to life on the local level. Whether its government distrust to severe income inequality – we are the front lines and have to make sure government works for everyone in our community. The new commuter train is going to be a great success: and our Downtown will become even more vibrant, businesses will thrive and people’s lives will change for the good as they get out from behind the wheel and onto transit. The organization is going to be flourishing. We will have a culture of creativity and experimentation. Our community will have a strong connection and high level of trust with their local government. The housing market is going to miraculously change: and we’ll buy a house in beautiful Marin County. Wishful thinking?